Suzuki carburetors were not jetted quite right from the factory, and over time, many of the flanges have become warped, causing slides to stick. The OKO kit includes the flange mount adapter, and the 26mm K-101 provides the RL 250 with quicker response and better over-all power. 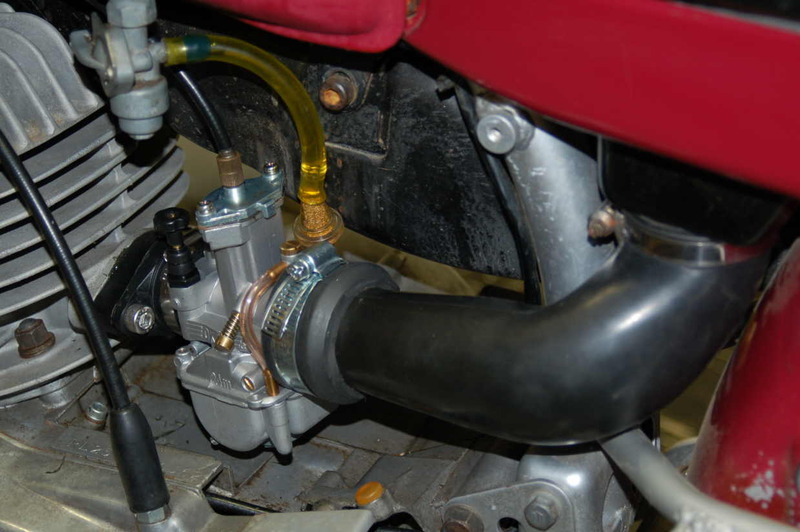 We also provide a simple airbox boot adapter that slips over the end of the stock airbox hose and onto the OKO intake. K-101 mounted with adapter and airbox hose adapter. 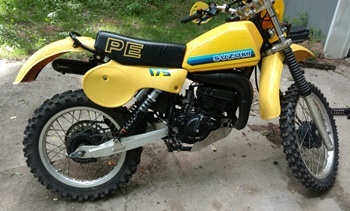 This kit, for the Suzuki RL 250 Trials bike, replaces the OEM flange mount Mikuni carburetor. 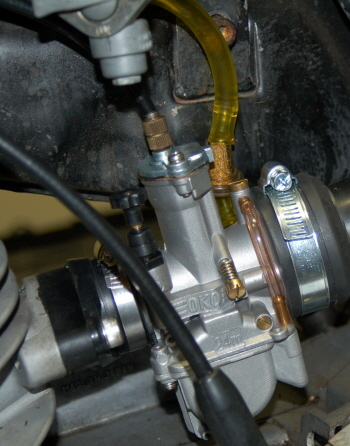 The 26mm OKO K-101 comes pre-jetted and includes the manifold adapter and airbox hose sleeve. Use your existing cable. 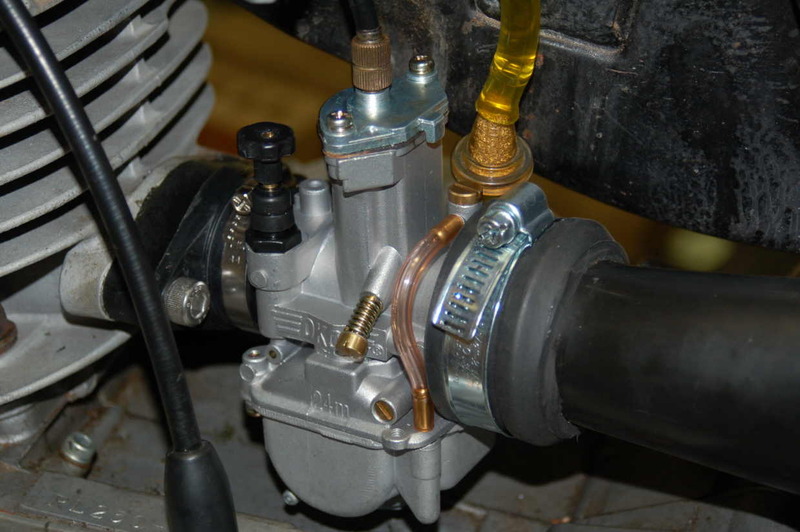 One of our customers has helped us develop this carburetor kit for the Suzuki PE 175. In this case, it is a 1981 model. The kit includes a new manifold sleeve and a sleeve for the airbox hose which will need to be cut back about half an inch. Extra jets are also included for fine tuning. The 30mm OKO will provide extra puch for the Suzuki, particularly in the low to mid-range power.